The approach from the north, over the Télégraphe, is 34.9 kilometers long, starting in Saint-Michel-de-Maurienne. At 11.8 kilometers in length, with an elevation of 856 meters (7.3%), the preceding Télégraphe is not to be mistaken as a merely a warming up for the Galibier. After a short descend into Valloire, the actual ascend of the Galibier starts: 18.1 kilometers, with 1,245 meters of elevation, or a 6.9% average. That may seem almost friendly, but the final 8 kilometers of it average around 8.4% and the final kilometer – the loop over the tunnel – has an average of over 10% – you may need a few seconds to recover, before being able to fully appreciate the incredible view you have from up there. From this end, you can only get to the summit of the Galibier by first climbing the Lautaret. To the summit of the Lautaret, the approach from Briançon (south-east) is 27.8 km long, with 853 meters of elevation at an average of 3.1% and only the final 10 of those have grades that are worth mentioning. The ascend of the Lautaret from the south-west, starting at le Clapier*, is 34.2 kilometers long, with 1,312 meters of elevation gain (average 3.8%). This is a little deceiving, as there is a drop between kilometers 4 and 6 and like from Briançon, there’s a lot of false flat. However, also here, the grades do not exceed 6% very often. 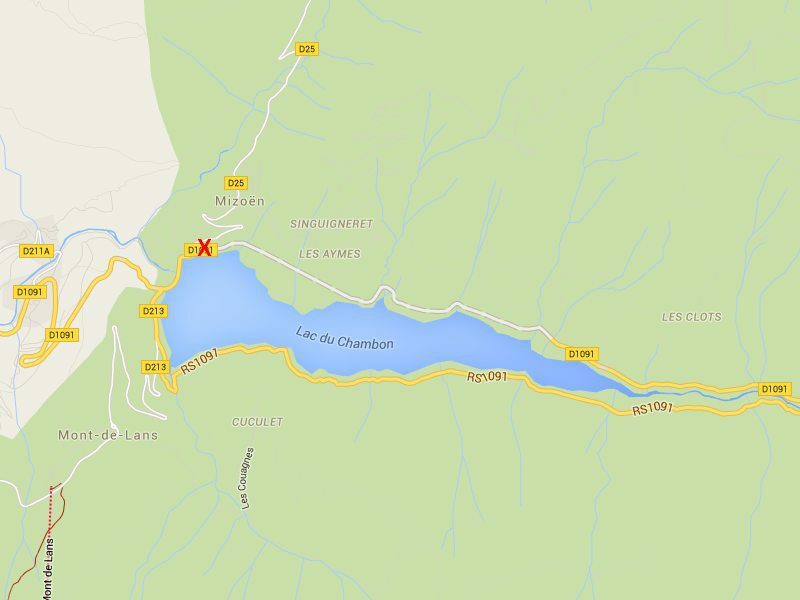 *In 2015, the Chambon tunnel partially collapsed and was subsequently closed. Later that year, the (temporary) ‘escape route’, along the south side of the lake, was opened. So, until the tunnel reopens, this means you can still cycle up the Lautaret from le Clapier. During 2016, construction of a new bypass tunnel started, but it is not clear when this will be completed.